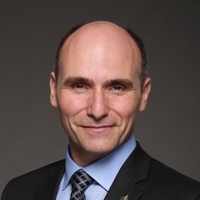 The Canadian Community Economic Development Network's Board President Laurie Cook and Policy Council Chair Marianne Jurzyniec recently congratulated The Honourable Jean-Yves Duclos, PC, MP and The Honourable Patty Hajdu, PC, MP on the recent publication of Inclusive Innovation, the recommendations of the Social Innovation and Social Finance Strategy Co-Creation Steering Group. The release of the Steering Group’s recommendations is an important milestone towards the creation of a social innovation and social finance strategy for Canada. CCEDNet has been an active supporter of their efforts since the beginning, promoting candidacies for the co-creation steering group, encouraging participation in the engagement activities organized to support the steering group’s work, including hosting a workshop at EconoUs2017 last fall in Calgary, attended by over 100 community leaders from across Canada. Most recently, the Steering Group’s recommendations were the focus of a plenary session at EconoUs2018 in Moncton, where nearly 350 participants from urban, rural and indigenous settings, all levels of government and a wide range of sectors were inspired by the work done to date on the strategy. We promoted the Steering Group’s recommendations early October at the pre-budget hearings of the House of Commons Finance Committee, where our brief emphasized the importance of strong action by the government in support of the strategy. The Steering Group’s recommendations reflect the successful engagement carried out over the year of their mandate, and present the essential elements for an effective strategy. Co-creation is critical. The co-creation process used to develop recommendations with the steering group is central to the intersectoral nature of the complex and emergent challenges social innovation and social finance seek to solve. All relevant stakeholders need to be engaged and be part of the learning generated through collaborative action. The creation of a multi-sectoral Social Innovation Council to work across sectors and jurisdictions, an Office of Social Innovation to work across departments, and legislation to anchor that approach are the cornerstones of a successful strategy. The recommendations were explicit that building on existing assets is fundamental. Social innovation and social finance may be rapidly evolving fields, but they are not new. Credit unions and cooperatives, community development corporations and community loan funds are examples that stretch back more than a century. Recognition of this important existing infrastructure across the country, ensuring that measures developed are done in complementarity with existing efforts and on the basis of subsidiarity, will leverage extensive assets and foster truly innovative local creativity and action. Finally, the recommendations must be seen as an interconnected whole. Skills development, improved access to capital, increased social procurement, regulatory change, knowledge transfer and awareness all have mutually reinforcing impacts. Implementing some elements of the strategy and not others weakens them all. 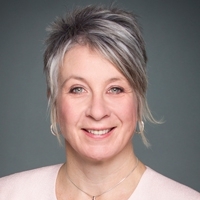 We are convinced that if the strategy produced by the Government of Canada respects the principles and recommendations presented by the Steering Group, it will be a historic and transformative step towards solving the most difficult issues confronting Canadians today and building the inclusive and sustainable communities of a much more positive future. 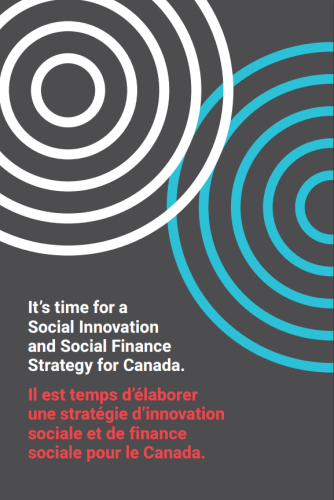 Visit sisfs.ca for more resources and to encourage your MP to support a strong social innovation and social finance strategy.